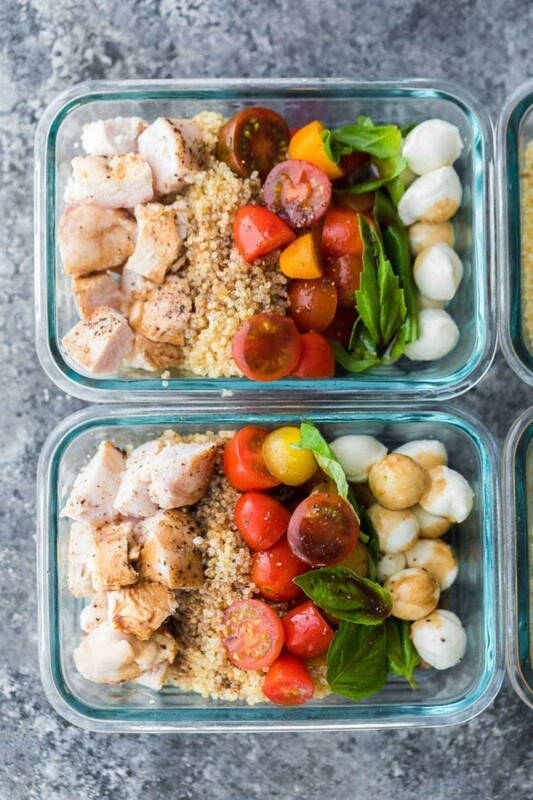 Caprese chicken salad meal prep bowls bring a dose of summer to your lunch. 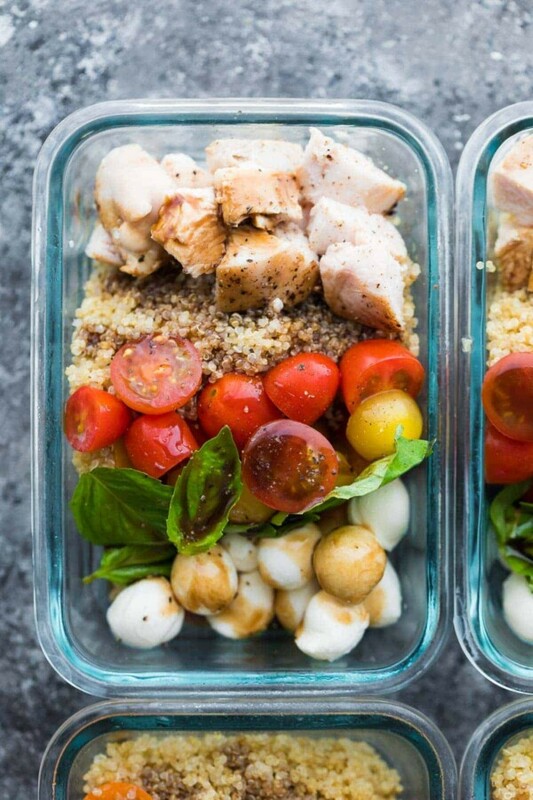 With baked chicken, fresh cherry tomatoes, baby bocconcini, quinoa and basil leaves all drizzled in a balsamic vinaigrette. I am probably jumping the gun on this recipe, given that it is filled with summery ingredients and it’s only March 1. I just can’t help myself! Sometimes I need a dose of summer in my lunch, even when it happens to be cold, snowy and wintery. 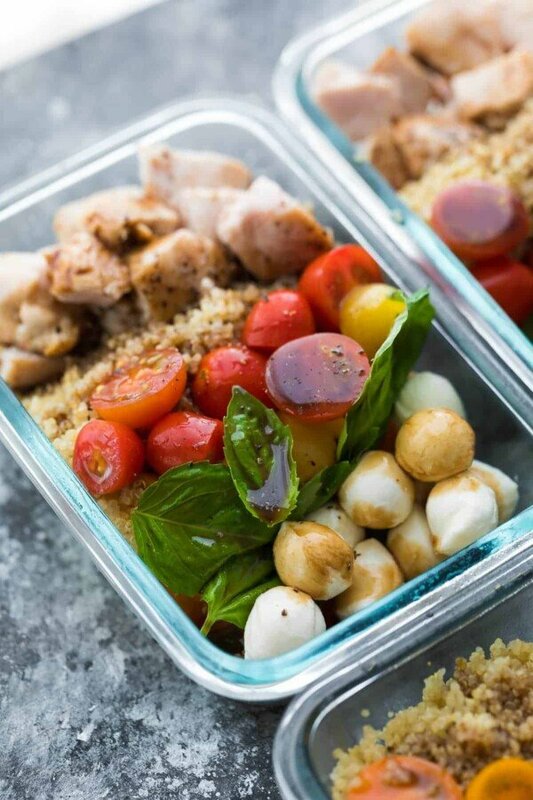 Today’s caprese salad lunch bowls are a delicious remix of everyone’s favorite caprese salad…in meal prep bowl form! Don’t forget to pin this recipe to save it for later! Can you make caprese salad ahead of time? Generally speaking, no you can’t. The issue for the most part is the basil…it is prone to browning and wilting. But the tomatoes can also become soggy if they sit in the dressing for too long. 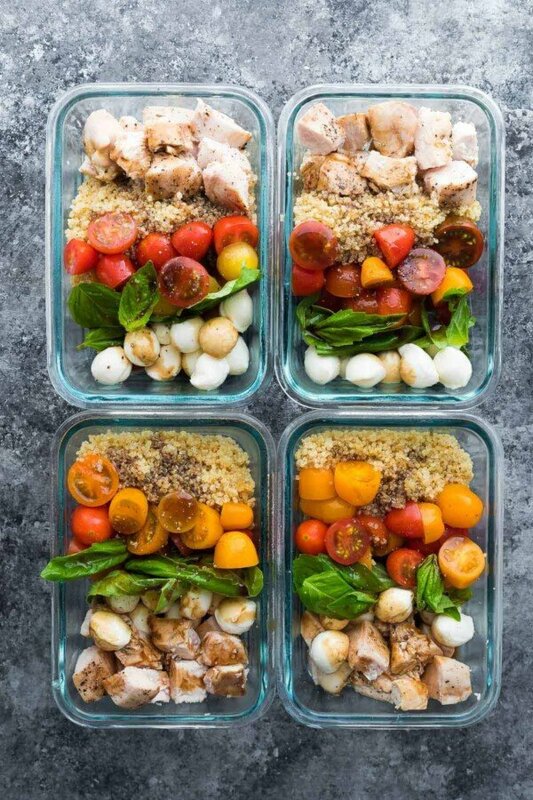 However with a few tricks, I’ve converted caprese salad into a meal prep lunch. Keep the basil separate from anything wet, and if possible add it fresh. You may wish to wrap it in paper towel to keep it fresh, or keep it in a container at work, separate from the rest of the salad. You could also try a basil paste, however I have not tried this and don’t know if it would be the same. In addition to the delicious caprese trifecta of fresh tomatoes, mozzarella cheese, and balsamic dressing, I added some quinoa and chicken to give it a little more oomf. No one needs to be hungry within an hour of eating their lunches! All combined, you get a great balance of healthy proteins, fresh veggies, and quinoa to round everything out with some healthy carbohydrates (and even more protein!). 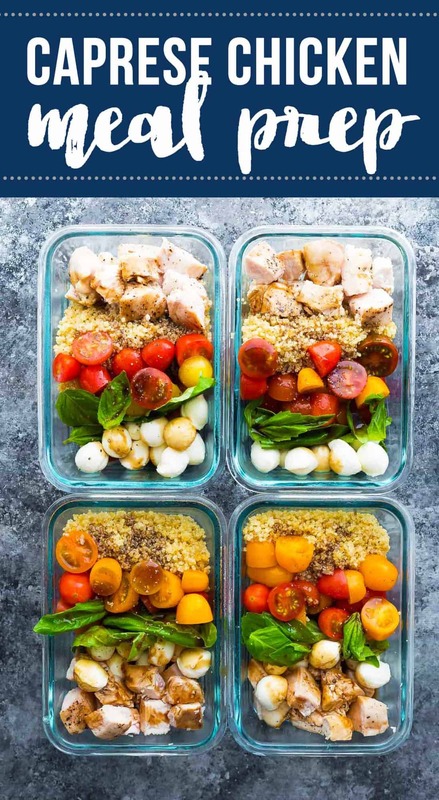 Watch the video below to see exactly how I prepped my Caprese Chicken Salad Meal Prep Bowls. It’s so easy! You can find more of my recipe videos on my YouTube channel, or on Facebook. Cook quinoa according to package directions. Allow to cool. Heat oven to 425°F. Toss the chicken with 1 tablespoon olive oil & balsamic vinegar. Season with salt & pepper. * To keep basil 'fresh': Try to keep the basil at the top of the bowl, away from anything wet like the tomatoes, and avoid drizzling the basil with the vinaigrette. Avoid chopping the basil, leaving the leaves whole. You could alternatively use a basil paste like this one or leave the basil out until just prior to serving. 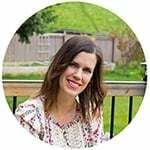 Tips & strategies to get you prepping...fast! This site contains affiliate links, meaning that if you make a purchase through them, we will receive a small commission. DO I eat this right out of the fridge at work or do I warm it up? Hi Jennifer! I eat it cold since it’s a salad…I suppose you could warm it up if you’d like? Stop reading my mind, Denise! This looks so good! Now I have to make this AND marinate all the freezer chicken for my instant pot. And now I won’t feel like I’m wasting all that basil that is wilting on my window sill. My plants do not think that winter is over. This salad was so delicious, I loved the balsamic dressing on the quinoa! 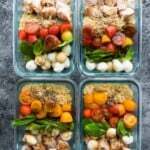 I share meal prep recipes for busy people. Read more about it here!